In 2009, the Center for Inspired Teaching, a national organization based out of D.C. that’s dedicated to teacher professionalism and experiential learning, brought together a group of educators to create a school that showcased the center’s instructional model. Deborah Dantzler Williams, the founding head of school, previously worked as the center’s director of strategic partnerships. 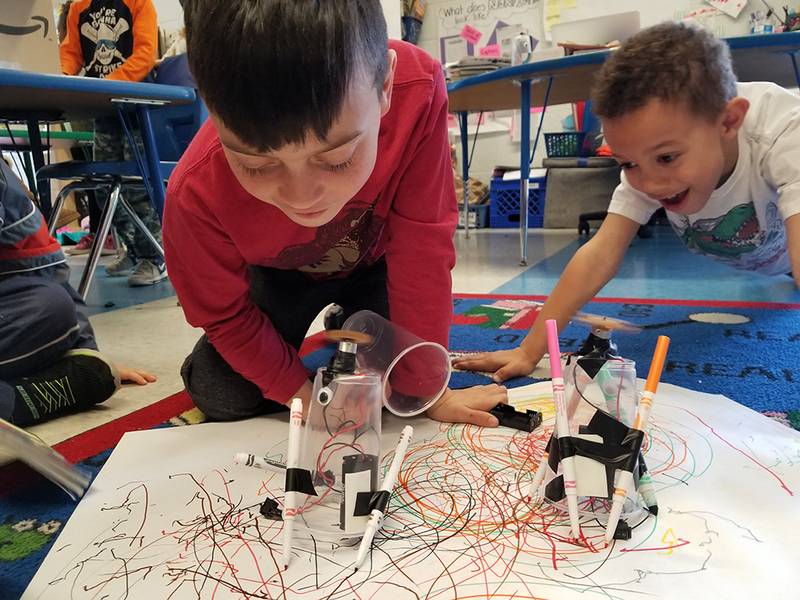 The Center for Inspired Teaching wanted to create a school that could be a changemaker in the realm of public education — a place where they could share best practices with educators, policymakers, and community members. Part of that goal meant creating a place that could serve as a training site for teachers. Through the Inspired Teaching Residency Program, teachers can earn both their master’s in teaching and their D.C. teaching license through coursework and a residency year spent working in an ITDS classroom, under the supervision of an experienced teacher. Teacher residents follow a “gradual release” training. First, they observe the experienced teacher; then they begin teaching small portions of the class; and finally, they take over the teaching entirely. During the second year of the program, teacher residents obtain a full-time teaching position in a D.C. public school. After successful completion of the residency, they must work an additional four years in D.C. public schools to receive full tuition reimbursement. To explain inquiry-based learning, ITDS’s leadership compares schooling to a taking a trip. At a traditional school, teachers decide where the journey (the learning) will start and end, but they also decide the vehicle needed for travel as well as all the sites that will be seen. At an inquiry-based school, teachers still pick the starting point and the destination, but the class helps choose the mode of travel and the route. Teachers navigate (keep students on track) without controlling the entirety of the expedition. ITDS relies on outside curriculum – including Creative Curriculum, a research-based preschool curriculum that features exploration and discovery as pathways for learning, and Readers-Writers Workshop, where teachers act as reading-writing coaches showing students how to read and write rather than telling them — but there are no prescribed lesson plans. The curriculum and standards drive what students need to know; teacher and student interests determine how to get there. For instance, in Ash Moser’s English language arts class, students had to meet a writing standard that required them to research a topic, take notes, and communicate what they’d learned by creating a nonfiction text. Moser didn’t assign topics. Instead, he let the students choose. However, their nonfiction text had to be “a product with a purpose.” So one student researched allergies and made a brochure about them, which she is now handing out to doctor’s offices. Another student researched porcupines and created a placard for a zoo exhibit. She’s currently attempting to obtain permission to post it at D.C.’s famed National Zoo. “When students get to see that there’s value in what they’re doing — a purpose to their education beyond getting a grade of passing a test — they see why education matters. Here, teachers are encouraged to make learning highly motivated and purposeful,” says Moser. In the inquiry-based learning model, teachers are still considered providers of information, but they are also the instigators of student curiosity and provokers of original student thought. At ITDS, there isn’t a heavy reliance on technology. From third grade up, each student has their own tablet, but devices are only used if they can enhance learning, never merely to check a box, and the school has no SMART boards — another intentional choice. Regardless, the Partnership for 21st Century Learning has identified ITDS as an exemplar school. The designation signals that the school uses 21st century learning initiatives that are successfully preparing students for college, career, and life. At ITDS, that preparation comes from a school-wide emphasis on project-based learning as a method for enhancing students’ critical and creative thinking. Each trimester, students complete culminating projects in their core subjects. 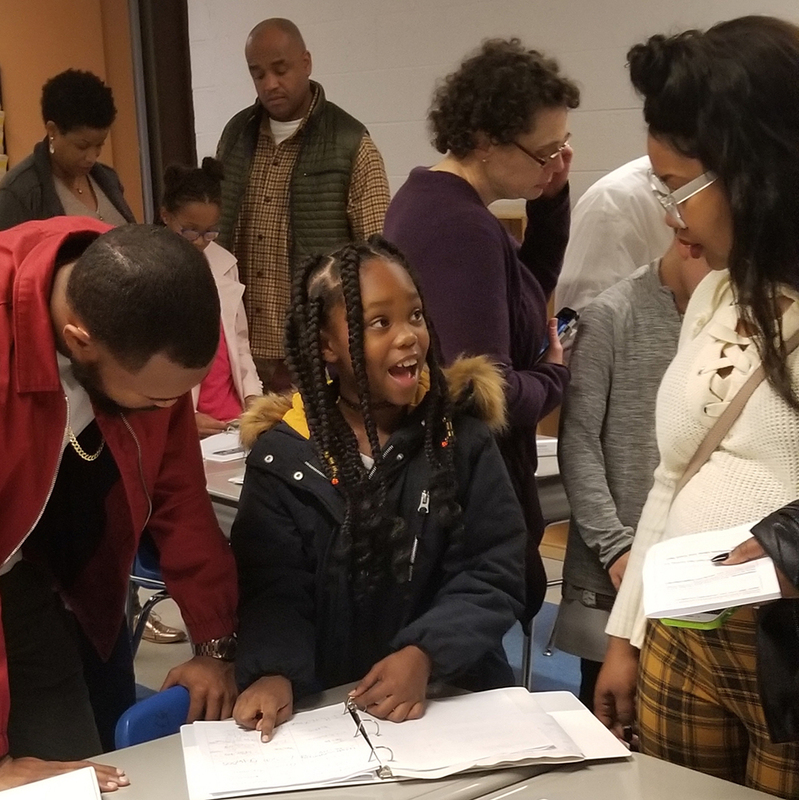 At the end of the trimester, students show off their projects at “Learning Showcase,” an evening event where families come to see what the classes have been working on. It’s a great community builder, and school leaders say family participation is above 90 percent. In Courtney McIntosh-Peter’s sixth-grade math class, students finished their study of ratios by examining Cubist artist’s Piet Mondrian’s Composition With Red, Blue, and Yellow (1921). First, they determined the ratios of the colored squares in his art. Then they had to create art using assigned ratios. Finally, they had to create an original work of art and explain the ratios that they chose. Last year, when Black Panther came out, Jodi Ash’s sixth-graders were working on their chemistry unit. As a class, they debated where, given what they knew about its composition, vibranium, the fictional metal from the film, would be located on the periodic table. Then Ash assigned each student a single element from which they had to derive a superpower. Based on the element’s properties, students created their own superhero franchise, complete with comic books, costumes, and theme songs. They paraded through the school, singing their theme songs and wearing their costumes. 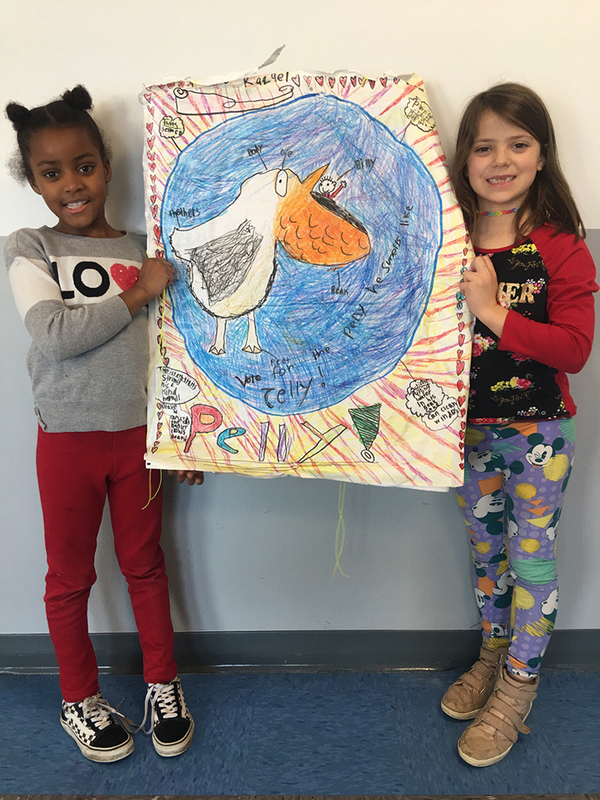 In Matthew Wong’s second-grade class, students created campaign posters for different characters from Roald Dahl’s books. In November, they held an election to determine the school’s favorite character. The winner, in a landslide victory, was Matilda. The standard the class was studying? Character development. Intersession is the highlight of the school year for many students. During the week before winter and spring break, every adult in the building picks a topic they’d like to explore in depth with a small, mixed-grade group of students for four school days. Students then sign up for the session that interests them most. Previous options have included: martial arts, photography, creative writing, cooking, T-shirt design, winter engineering, improv, student newspaper, and more. But can it be replicated? Many ITDS parents want the school to expand through 12th grade. Numerous community members want it to replicate. However, neither growth nor replication are in ITDS’s plans. “The demonstration model was not meant to be replicated by us, but to be replicated by other schools,” says Karnani. The school welcomes visitors. This year, they’ve already hosted teachers and principals from DCPS, Montgomery County Public Schools, and the Alpine School District in Utah. However, questions remain about the practicality of widespread replication. ITDS is also a member of the Diverse Charter Schools Coalition, an organization dedicated to creating racially and socioeconomically diverse charter schools through advocacy, research, and outreach. Its student population is racially diverse: 45 percent of students are white, 37 percent African-American, 7 percent Hispanic, 3 percent Asian, and 9 percent multiracial. Fifty-nine percent of the faculty are people of color. The leadership works via recruitment efforts to keep it that way. However, only 22 percent of the students are designated as economically disadvantaged, a much lower number than both the 77 percent for all DCPS schools and those of many struggling district schools where teachers face challenges specific to educating children in poverty. However, Dantzler Williams believes that the essential elements of the school — teacher voice and professionalism, the core beliefs, and project-based learning — are applicable in schools throughout the District. And former teacher residents bring the training, philosophy, and practices that they’ve learned at ITDS with them when they accept positions at the city’s other public schools.